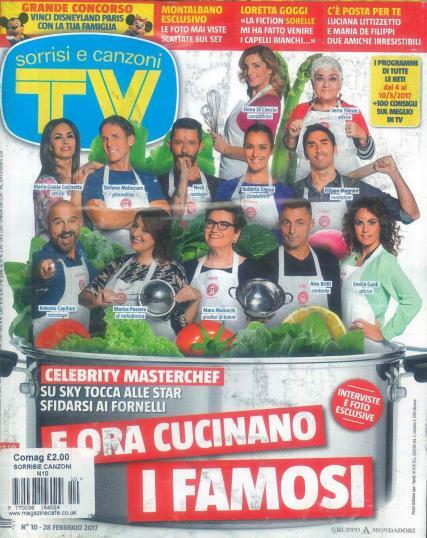 Sorrisi e Canzoni is an Italian weekly magazine which is quite popular among its readers. It is one of the most popular magazines in terms of its circulation and readership. The magazine is quite famous and has a large number of readers who are interested in its collections. The magazine talks about the culture and traditions of the people residing in the country. It has more details about the fashion of the people. It is basically quite a popular magazine which deals with the various fashion trends which are quite popular among the people. It provides essential details that one will want to know, to be updated with the latest fashion developments. The magazine provides lots of details that one might want to know in the fashion world. It provides other details regarding various celebrity lives that are of huge interest to the people. The most popular celebrity fashion trends are demonstrated in this magazine with lots of updates and trends. Not only can one buy a single issue of the magazine but also subscribe to it to learn more about the latest trends. It has the largest magazine cover online, those interests millions of readers. The magazine talks about various worked of life that includes music, literary, adventure and scientific developments. The magazine is quite informative and serves good information about the various spheres of life!